(Fast forward one week). The pattern on the tray is cute but I decided I wanted to paint it a solid color and then use my Cricut to make a stencil so I could customize it the way I wanted it. 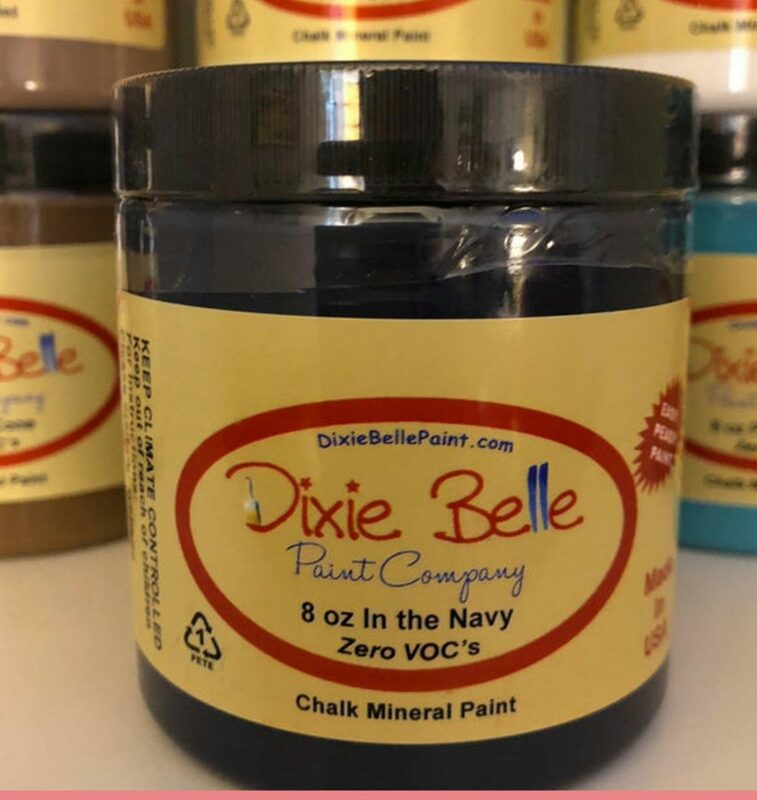 I bought some Dixie Belle chalk mineral paint called In The Navy, I really love this color, it’s so very rich looking. I also love the Dixie Belle paint line, it covers well, has no odor and comes in 64 colors. 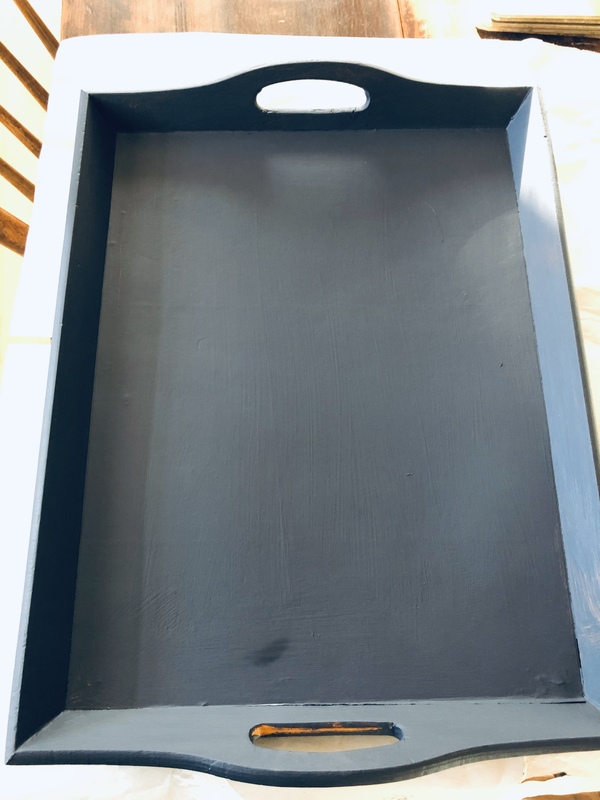 I gave the tray a quick wipe down, then painted it with two coats of paint and let it dry. While it was drying I designed and printed out my stencil. Did I take a picture of the stencil?- NO – I am so bad at taking pictures as I go, especially when I’m creating. Is anyone else like me in that respect? I used Rust-oleum Chalked paint in linen white on the stencil as that is what I had in my stash. I decided not to wet distress this tray because I like the crisp look of the white on the navy. I will give it a few coats of wax and a good buff before using it outside on the deck this summer for serving Lemonade. I will share my favorite homemade lemonade recipe in another post. 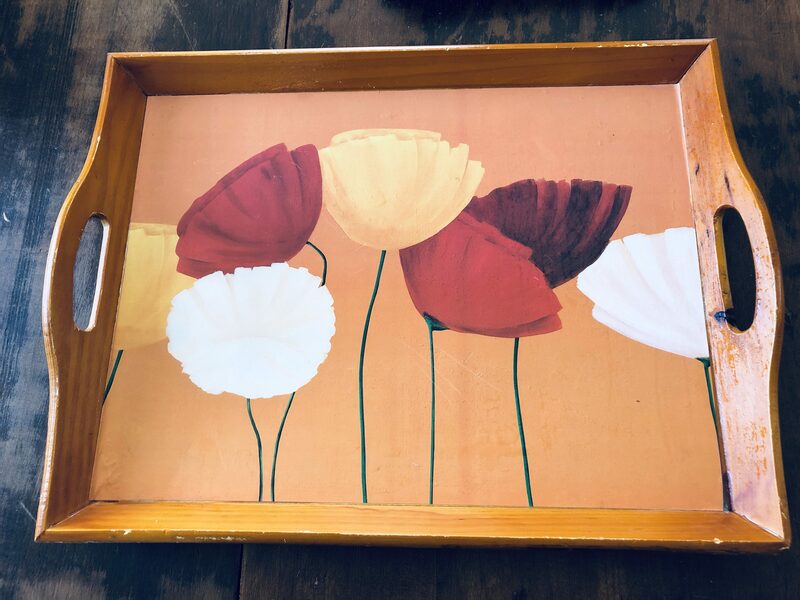 A recycled thrift store tray with Chalk paint…It’s A Wandaful Thing! Thanks for stopping by. I hope to see you back here soon. 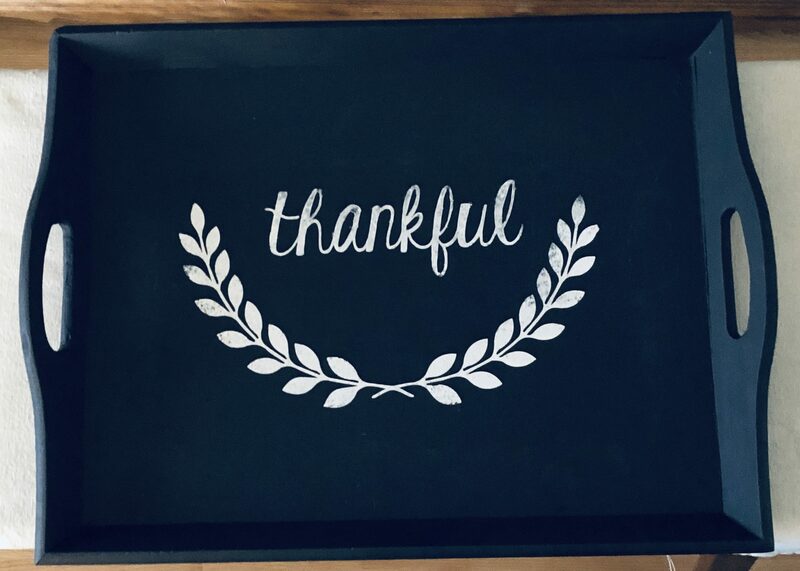 This entry was posted in Decorate, DIY, Upcycled, vintage and tagged Blog, chalk paint, Crafts, creativity, dixie belle, facebook, on-line store, repurpose, reuse, stencil, thankful, thift store, thrifty, tray, upcycle, upcycled vintage, vintage, website, wood tray. Bookmark the permalink. It looks fantastic! You must be really happy with it! So you made a stencil and the thank you and leaves are painted on. No coffee yet so head not clear. WOW if machine makes stencils you not only to put on but for paint projects also. Which I assume you can use that stencil again on another project? I love the crisp fresh look also. Good score.